Posted 9:56 am, Oct. 17, 2018. Finance professionals know the importance of an ROI — and that’s why Master of Science in Finance (MSF) candidates are very focused on the value they’re going to get from these one-year graduate programs. To figure out the payoff of getting an MSF degree, we’ve broken down the value into six components: a second chance at finance recruiting, a high starting salary, personalized career coaching, access to employers, the alumni network, and the brand name of the school. Read on to find out how a Master of Science in Finance could pay off for your career. Some students went to a college where finance companies simply didn’t recruit, or a liberal arts institution that didn’t offer a finance curriculum. Others didn’t realize that they were interested in finance until later in their undergraduate career, after recruiting deadlines had already passed. 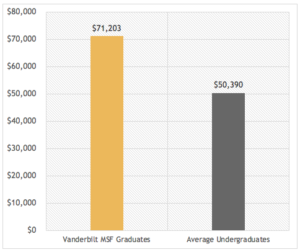 The average starting salary for the Vanderbilt Business MSF Class of 2017 was $71,203. With average starting salaries for U.S. college graduates hovering around $50,000, that’s a significant increase of about 40% with just one extra year of school. Plus, whatever starting salary you get directly after school tends to anchor any future pay increases you might receive, so starting strong right out of the gate is important. Career coaching at business school is more high-touch and customized than at the undergraduate level. Coaches help MSF students achieve their goals, and sometimes even open their minds to career possibilities they didn’t know they wanted. For example, Vanessa Arndt (MSF’16) entered the MSF program thinking she would get a job in finance. 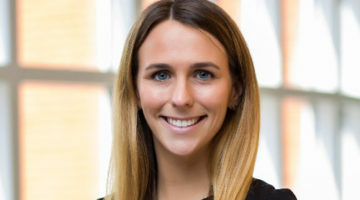 But through her work with the Career Management Center, she realized that consulting would actually be a great fit, and she now works at Bain & Company as a Senior Associate Consultant. 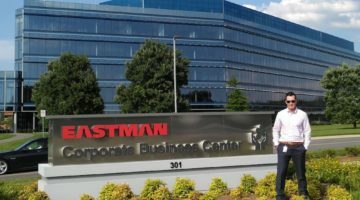 Depending on where they went to undergrad, a Master of Science in Finance program can give students a pipeline to companies and jobs that they couldn’t have recruited for on their old campus. “I think for students, they see a very clear return on their investment because they have access to employers and positions that they feel they would never have the opportunity to interview with (otherwise),” Clark said. Getting a good job at a major financial or consulting firm also pays dividends for students’ careers later on, as it sets them on a path for success from the very beginning. “It puts students on a different ladder than they would have been on with their undergrad,” Wilkerson said. 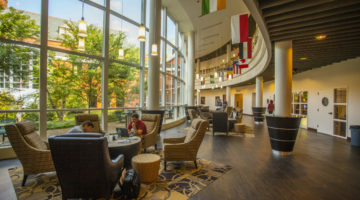 Going to an MSF program gives you access to the business school’s alumni network, significantly augmenting that of your undergraduate institution. 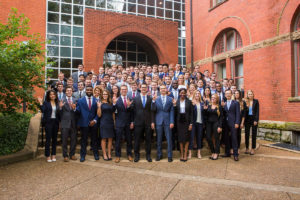 For example, Vanderbilt Business MSF students get access to 10,000+ Owen alumni plus all the Vanderbilt undergraduate alumni, a very large network indeed. And of course, MSF students bond closely with others in their program, often leading to life-long friendships as well as a professional network of peers. Want to learn more about the Master of Science in Finance at Vanderbilt Business? Visit the program page or request more information.